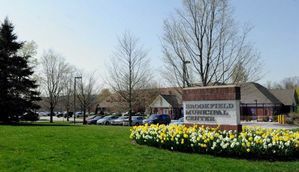 In this week's special edition of Brookfield Matters, First Selectman Steve Dunn told residents that the Town has begun cleaning up debris from the right-of-way. "Contracted crews form CERES Inc. will be working for approximately four weeks, Sunday through Friday, from 7 a.m. to 7 p.m. on town streets," he says. The Town of Brookfield Brush Yard will be open to residents only on Saturdays from 8:30 a.m. to 4 p.m. The brush yard must be closed to residents Sundays through Fridays because it's considered a "work zone," and therefore unsafe. If you have questions about the cleanup plan or brush yard, call the Department of Public Works at 203-775-7318 during normal business hours.